We all have that longing for childhood memories to come bounding back into our lives with full abrupt force to shake us to our core and remind us we are still breathing. It helps to come home to a wonderful moment of clarity when warming up a homemade treat from a parent or grandparent. My moment was last night. I was able to hold a warm bowl of soup close to me and feel the warm steam float up to kiss my skin. It’s not just any soup that I was having, it’s Maw-Maw Soup…you know what kind I am talking about. That special bowl of soup that came out of the special large soup pot that was stirred with the special long-handled wooden spoon. The soup that awakens your soul when you walk into the preparers house to collect your portions to take back to your own home for leftovers. 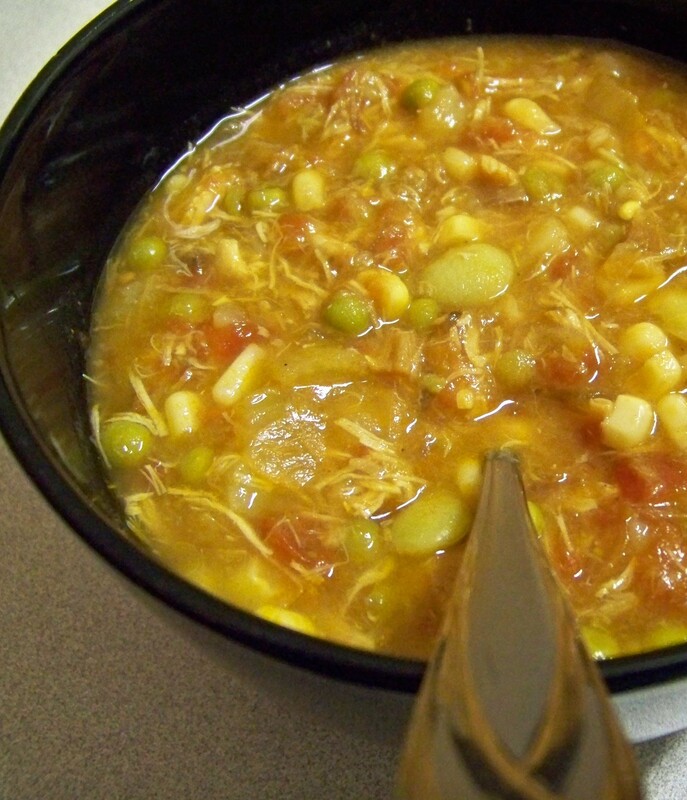 The soup that Maw-Maw spent all day preparing…or should we say all year gathering for. The soup that EVERYTHING goes into (within reason of course). A bit of leftover corn here from a meal, a bit of leftover roast there from a meal a few months ago, leftover peas from a while back, and all preserved lovingly by the large freezer in preparation for this delight. Love reading your blog! I check it out every day. Keep up the great work. Thank you, Kim! I’m really enjoying doing it. Memories of a pot stirred with love. Mom is a wonderful cook who has loved and sacrificed for her family all her life. What a wonderful legacy she is leaving her daughter and granddaughter.